The new dawn is upon us. 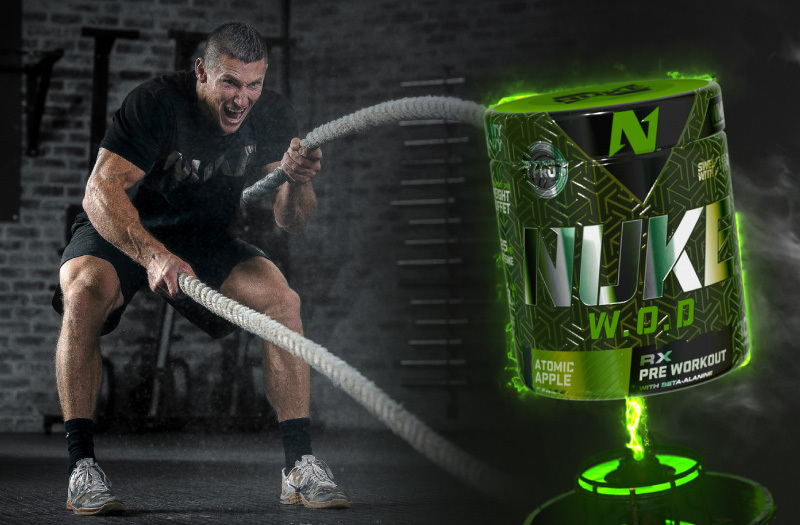 We’ve gathered valuable intel to deliver a mind-blowing product, and after having spent months on R&D, we’re ready to unleash WMD 005 to run rampant within the CrossFit community, wreaking havoc within each Box. Developed and created in conjunction with Nutritech’s elite CrossFit athletes, the Green Berets are proud to present you with the latest addition to the WMD collection. 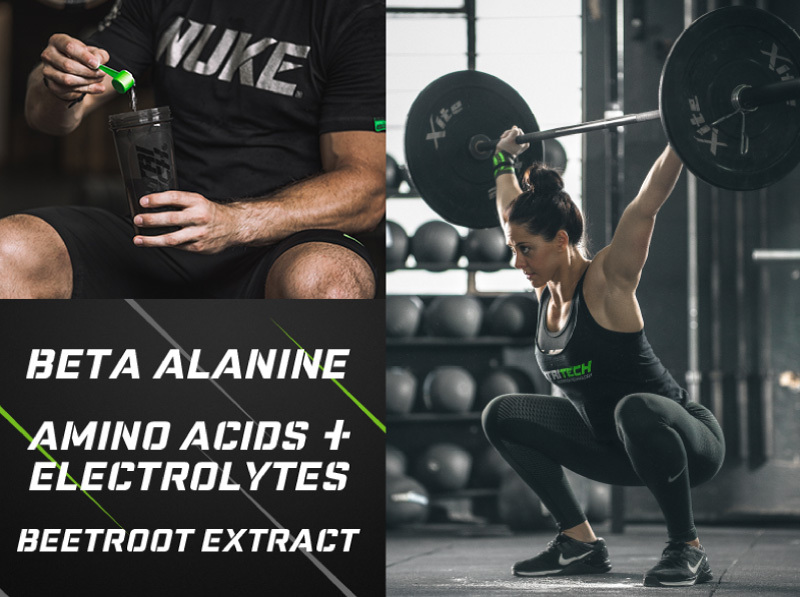 To pay homage to the great success that CrossFit has been experiencing on the African continent, Nutritech has been working closely with its athletes on the top-secret Project XF to deliver something truly special. NUKE® W.O.D. is the first pre-workout created specifically with CrossFit in mind; created for those pursuing PRs with relentless tenacity; created for those who live to push their mortal shells to the brink of brokenness, only to repeat the pandemonial process again tomorrow. 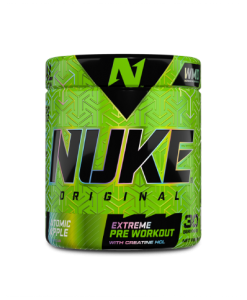 Right off the block, unlike NUKE® Original and Raw, NUKE® W.O.D. contains less caffeine (125mgs compared to 300mg and 250mg, respectively). The need for excessive amounts of the stimulating compound in a sport that keeps your heart rate constantly elevated seems moot. Instead, Nutritech has taken the appropriate steps to apply more focus on other ingredients to increase each user’s PR-crushing preformance. NUKE® W.O.D. contains 6 key ingredients, utilising the full benefits of beta-alanine, creatine HCl, and red beet. All ingredients have been scientifically selected and dosed to engineer a WOD-crushing product. 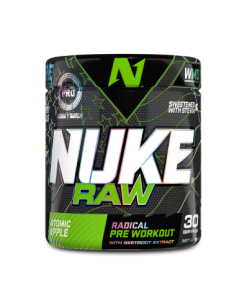 Each ingredient of this pre-workout’s genetic makeup was deliberately added; any ingredient that would deter an athlete from brutalising their workout was removed without any remorse, let alone, reconsideration. Mix 1 scoop (approx. 8g) with 250ml of water in a NUTRITECH® shaker. Shake thoroughly and drink 20 to 30 minutes prior to workout, on an empty stomach. 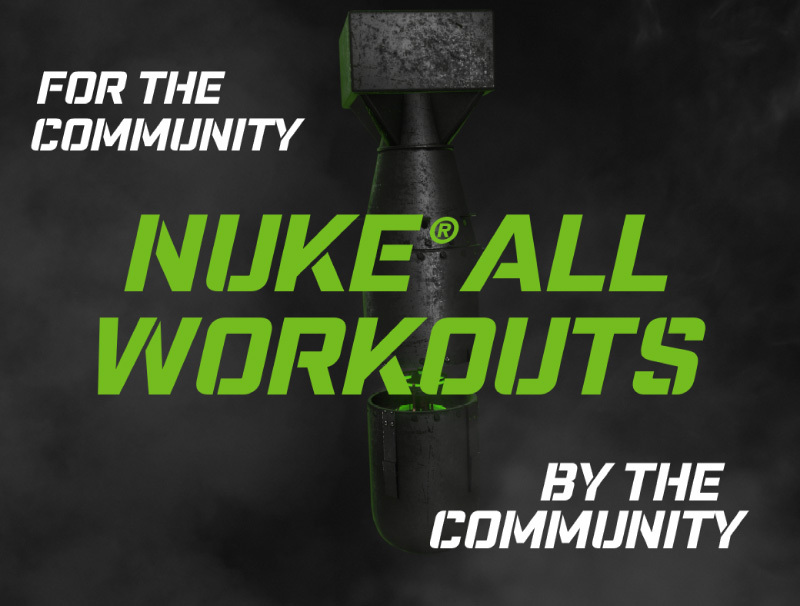 This entry was posted in NUKE, THE JOURNAL and tagged Nuke WOD, pre-workout.